Introducing the latest kitchen gadget from Russell Hobbs, designed to make healthier, tastier meals without deep-fat frying. Russell Hobbs Purifry Multi uses innovative technology to harness the cooking power of pure, fast-circulating air to cook your family’s favourites without using oil or fat. The coatings are still crispy and the taste will speak for itself. The Purifry Multi is quick and easy to use. Unlike traditional fat fryers, there’s no oil to heat so cooking time is reduced. Its halogen element means heat-up time is instant, the heat cooks food more evenly and cooking times are faster. As well as using less fat, the vapours and odours of fried food are reduced so all you enjoy is the tempting aroma of delicious cooked food. It has a viewing window so you can see how your food is cooking too. 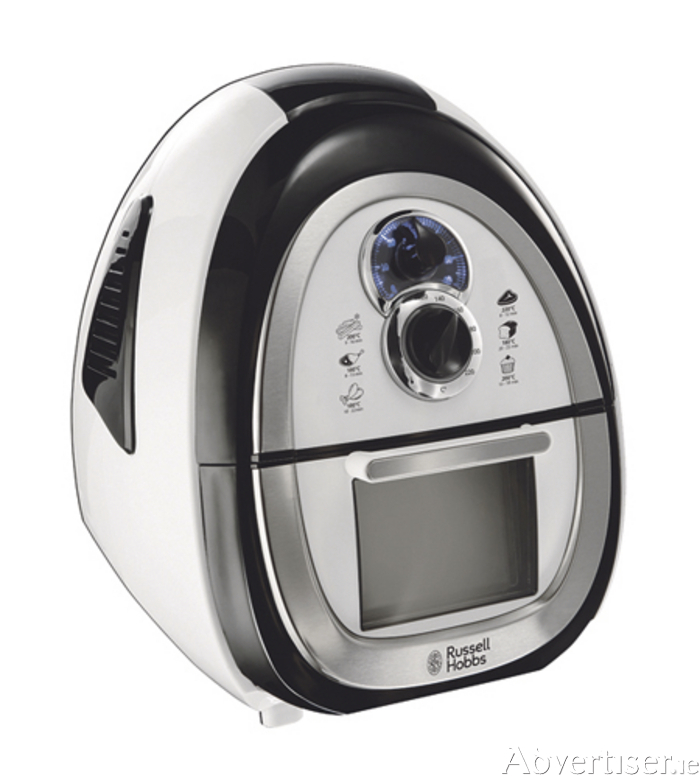 The Russell Hobbs Purifry Multi is available from electrical and homeware retailers, RRP €179.